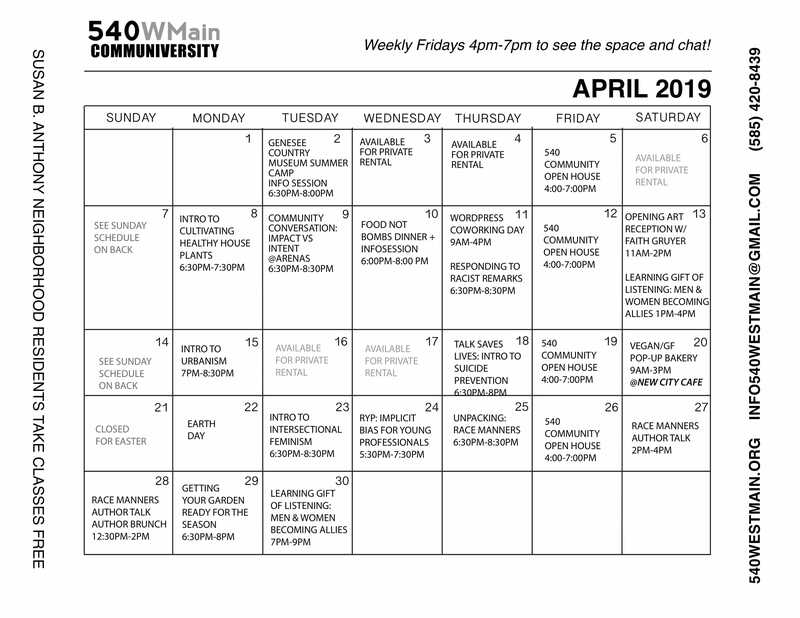 Since 2016 540WMain has been committed to partnering and collaborating with high school and college students in its efforts to upbuild, enrich, and educate members of our community. There are number of internship positions for high school and college students. The Community Research Intern will contribute to the successful development and growth of current and future education and community programming within 540WMain Community Learning Academy. Intern will be responsible for the co-design, data collection and implementation of a comprehensive neighborhood survey to be disseminated to community partners, business owners, and families housed in the Susan B. Anthony preservation district. The Education Assistant Intern will contribute to the successful development and growth of current and future education and community programming within. The Teacher Intern will contribute to the successful development and growth of a more effective learning environment for scholars enrolled in The Rochester After School Program. This is a a 6-week career focused educational and entrepreneur development internship. The internship provides workforce development training through experiential learning experiences, seminars, workshops, and event planning. Interns will collaborate as a team to co-develop, co-design, and co-lead a series of community based projects (called courses) where they will be learning and developing new organizational management, accounting, business, culinary, communication and leadership, skills all aimed to prepare them for college and beyond.